Get Ready for Easter Celebrations! Following the fun of the Christmas parties we would like to offer you the opportunity to celebrate Easter with your Munzee friends and families too! We are inviting you to add your Easter Celebrations to the calendar for 3 weeks between Thursday 17th March – Sunday 10th April inclusive at https://calendar.munzee.com/submit/. There is also the option of a Magic Egg for $20 per event where every attendee wins a credit item when they capture it. We will accept requests for customised badges and icons until Friday 19th Feb, after that we will move to generic artwork choices. Any questions contact louise@munzee.com and we look forward to seeing the calendar fill up! We’ve received a lot of questions and suggestions regarding gardens recently, so we want to address some and make a few announcements. Because Emerald Gardens are special release, we realize that not everyone is within close proximity to them. We are adding 5 Emerald Gardens to the map starting today at 15:00 CST. These pins are available for purchase at http://store.munzee.com/products/emerald-garden-pin and are limited in number. These locations, which are listed in the store description, have been suggested to us as hotspots for activity. We’ve added them to give more people the ability to take advantage of them for Double Point Weekend. NOTE: There are a limited number of pins available. There is NO limit on the number of Virtual Emeralds you can buy, so please be courteous of other players. As we’ve said before, growing and maintaining our community is our focus for this year. A large part of this initiative is helping and encouraging the expansion of smaller and new areas. One of the ways we will be doing this will be placing virtual gardens in these areas. Over the course of the year, we will be deploying gardens all over the world. If you’d like to submit a location for a possible garden, you can go here. If you have suggestions of new ways for us to help and get involved, please email iloveyou@munzee.com. We’d love to hear from you! We’re happy to introduce the Virtual Resort to the Destination line of Munzees! It will be joining the Motel and Hotel in this line, following a similar structure of points and rules. The Virtual Resort will be deployed via the Munzee app (not the website), just like the other members of the Destination line. It is virtual game piece. Proximity: A Virtual Resort must be at least 3500 feet (~1065 meters) away any other resort. Rooms: There are 15 rooms available in the Virtual Resort. Capture: Ranges from 15 points (no rooms filled yet) to 90 (all 15 rooms filled). CapOn: Ranges from 3 points to 50/42/39/…/6/3 when all 15 rooms are filled. Release: The Virtual Resort will be a MunzPak exclusive for the month of February. Each MunzPak subscriber will receive five (5) Virtual Resorts with their MunzPak. It will be available for purchase on March 1st. Full information about the Virtual Resort will be available on www.munzee.com/types upon initial release. NOTE: If you’re not currently a MunzPak subscriber, you still have time to get in this month! You can subscribe now to receive this month’s MunzPak and change your billing date on February 1st to be one of the first to get the new Virtual Resort! Don’t miss out! If you want to change your billing date, please email cecie@munzee.com on February 1st! The New Munzee Store is Live! The new store URL is munzeestore.myshopify.com. The old URL (store.munzee.com) will redirect you to the new store, and the old store is no longer active. The new store also includes Eventzee, Runzee, and WallaBee merchandise. When you check out, you are asked for you Munzee/WallaBee username. If you are buying products for both games and have different usernames for them, we suggest you make two separate orders to make sure that the items are awarded to the correct accounts. If you have a discount code or gift certificate for the old store, please email support@munzee.com to get a replacement for use in the new store. Gift certificates and discount codes awarded before today WILL NOT work in the new store. 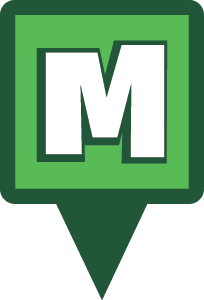 If you have an issue or question about your orders in the new store, please use the contact form located on the store website or email support@munzee.com. Our goal with the new Munzee store is to provide you with new, exciting products (both gameplay and merchandise). If you have suggestions or want to see something new in the store, email iloveyou@munzee.com, and we’ll see what we can do! Thank you for your support, and Munzee on! 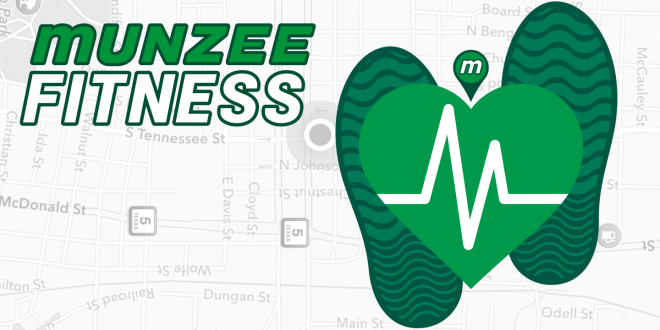 Last week we announced the Munzee Fitness Challenge in conjunction with the release of Munzee 3.1 and the introduction of Munzee Fitness. All you had to do was deploy a minimum of 60 greenies over the weekend, and you were entered to win a Fitbit Flex or gift cards to the Munzee Store. We had over 80 people complete the challenge, totaling over 5000 greenie deploys. The usernames of the players who completed the challenge were put in a pot, and the three winners were chosen at random. They will be contacted shortly regarding their prizes. Congratulations to our winners, and thank you everyone for participating! Here at Munzee we’re constantly encouraging our players to meet and greet and build the personal relationships that make this game so great. Our team continues to grow and we’re excited with the addition of Austin Scott. I grew up in Richardson, Texas and went to college at the Savannah College of Art and Design in Savannah, Georgia where I received a bachelors in Interactive Design and Game Development. If I had to describe myself in 4 words, they would be “Complex, Simplistic, Optimistic and Pessimistic”. Nothing is as it seems when it comes to me. I’m always up for something new, whether that’s food, music, or a new experience. I’m always interested in discovering or learning something new. I try to enjoy the small things in life and love playing games of all types. Hockey and Baseball are my favorite sports to watch. I enjoy various types of music ranging from classical, to death metal all the way to house music and enjoy just about everything in between. I am always trying to learn something new or get inspired by the smallest things. How long have you worked for Munzee? What do you enjoy most about Munzee? Munzee is awesome for so many reasons, but the coolest part about working here is definitely the people I get to work with, and the opportunity for me to grow as a developer. As we move forward and grow the game, we want to provide you with the best experience possible. We all found out at the beginning of the year how frustrating server downtime is, and we want to prevent that from happening in the future. We’ve mentioned before that we would be looking into alternative ways of hosting our game and services, and the time has come to take action. Tomorrow, January 26th, we will be moving our Munzee services to Amazon Web Services (AWS). This move will begin at 18:00 MHQ time and will last roughly 3 hours (until 21:00 MHQ time). Though we don’t expect any downtime during this transition, sporadic outages are possible. If there are issues and you are unable to continue streaks or other achievements, please email support@munzee.com and we will ensure that those are taken care of. This move will consist of Munzee and Eventzee gameplay services. The blog website has already been moved over, so updates regarding the move tomorrow will be posted here and on social media. Thank you for your continued support, and Munzee on! As part of our mission statement and theme for this year, we’re introducing a new activity. On the last Friday of every month, Team Munzee is going to get back to our roots and community. We will be going out and playing Munzee as a team. We invite players in the area to come join us on our adventures. Our first Munzee with Team Munzee day will be next Friday, January 29th. We will be in Frisco, Texas from 9:15-11:15 MHQ time. You can find all of the information on the calendar and can let us know if you’ll be joining us! Each month we will add the event to the Munzee Calendar and promote it on the blog an social media. We hope you can join us! We’ve had some questions regarding Munzee Fitness, so we wanted to answer some of the most asked ones. 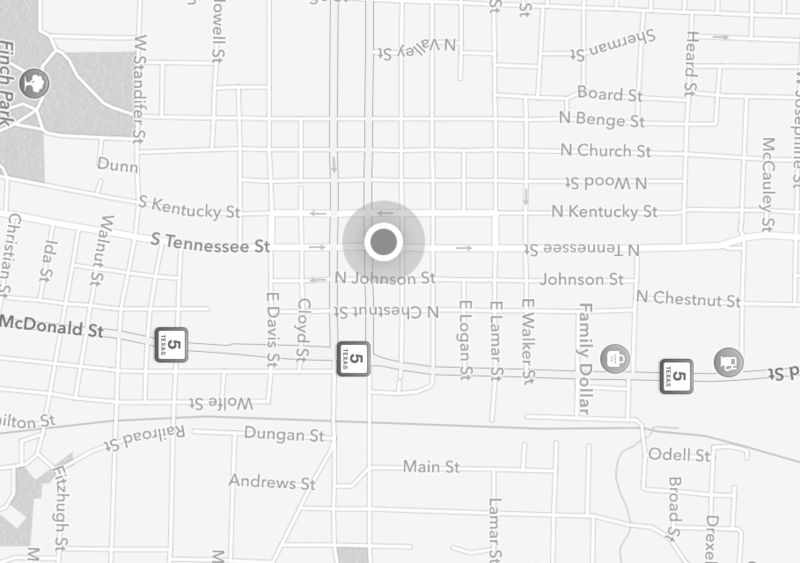 How do I link a fitness tracker to Munzee? We’ve posted a video that you can watch here. I earned a badge (e.g. 5K Day) on Fitbit. Why haven’t I earned the equivalent Munzee badge? Munzee needs to retrieve the data from Fitbit in order to award a Munzee badge. If you earned those steps prior to January 1st, we won’t have that data in our database. I’ve completed the requirements for a badge already, will these be retroactive? These are only going to be retroactive since January 1st. You probably won’t see those badges until all of your data is loaded for January which will occur on February 2nd. We Munzee as a couple (or family). Can we use Munzee Fitness together or do we need to create a second account? Munzee Fitness will only link to ONE Fitbit account. If you want a separate tracking of players, you’ll need 2 Munzee accounts and 2 Fitbit accounts. Can I use Google Fit or S Health the same way as Apple Health? Unfortunately, no. Right now, S Health is NOT supported by Fitbit. At this time, Apple Health (without needing to sync through Fitbit) is on our radar. Any other devices with a public web API (not a development kit) could easily be supported, but we are researching it. We will continue to update you as new devices are added. Is there a link to buy a Fitbit through affiliation? Yes! The banner on the Munzee Blog and Fitness Leaderboard are through Munzee’s affiliation with Fitbit. You can also follow this link. Will there be more badges available? We do have plans to expand the badge lines in the future. How do I remove the Fitbit authorization for Munzee? There is a link under the users profile (https://www.fitbit.com/user/profile/edit) called Applications. You will see Munzee listed there. Simply click the “Revoke Access” button. It will require the user to reauthorize Munzee if they want to earn badges or be visible on the leaderboard. If you have questions or need clarification on Munzee Fitness, please contact us at support@munzee.com.